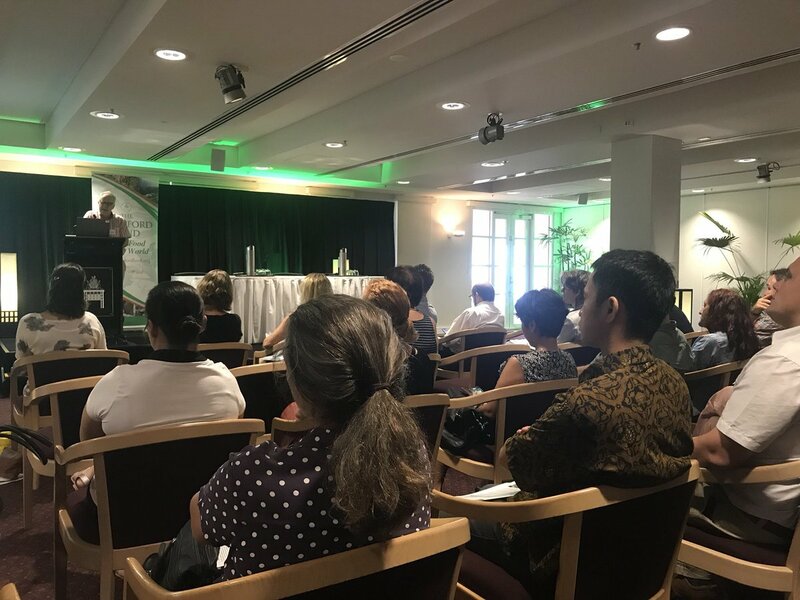 “Developing the Indo-Pacific Region and Developing the North: Opportunities and Partnerships” was the Crawford Fund’s first forum in the Northern Territory, and was held at Parliament House on the 10th May. Our NT Chair, Em Professor Helen Garnett, PSM welcomed the audience of over 50 which included researchers, students and people from the public and private sectors involved in agriculture, research and international development. The Minister also announced the winner of the Crawford Fund’s 2018 International Agricultural Awards, Samantha Nowland from the Department of Primary Industry and Resources (DPIR) who had also benefited from participation in the Crawford Fund’s inaugural Master Class in Research Leadership and Management. Professor Andrew Campbell, the CEO of ACIAR followed the Minister and was well known to many in the audience from his time as Director of the Research Institute for Environment and Livelihoods, Charles Darwin University (CDU). In his keynote address he discussed the pivotal role of agriculture in food and nutrition security, new directions for ACIAR in the region and opportunities for northern Australia. Professor Simon Maddocks, VC and President, CDU was welcomed to the stage to chair the panel of Territorian trainers and students from CDU and DPIR, including those who have received Crawford Fund support, who explained their work, its benefits in-country, to the Northern Territory and to them personally and professionally. This generated an active question and answer session. 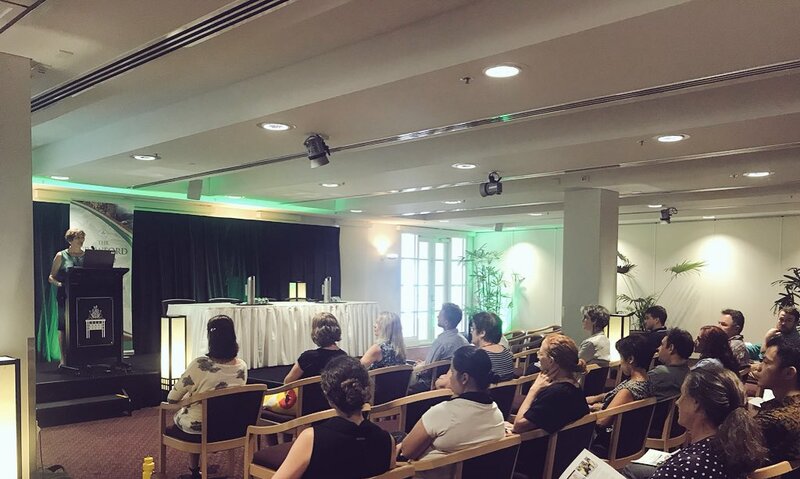 Dr Colin Chartres, the CEO of the Crawford Fund took the opportunity to encourage attendees to make contact with the NT program for new and ongoing partnerships. He also launched the RAID group in the Northern Territory and we were lucky to have three of the new members present at the forum, all of whom had benefited from Crawford Fund scholarships or awards. The ABC Country Hour presenter Matt Brann was also in attendance and his interview on the forum with Andrew Campbell can be found here. A flier on the work of the NT Committee was distributed at the Forum and is available here. The Hon Ken Vowles, The Minister for Primary Industry and Resources – opening. Professor Andrew Campbell, CEO, Australian Centre International Agricultural Research – keynote address. Associate Professor Natasha Stacey, Crawford Fund trainer and Leader – Natural Resources-based Livelihoods, Research Institute for Environment and Livelihoods, CDU on “Natural resources and indigenous livelihoods in NT and Indonesia” . Maddison Clonan, Crawford Fund awardee and Research Horticulturalist, Plant Industries Development, NT Department of Primary Industry and Resources on “Meeting mango market expectations in NT and Cambodia”. Pia Harkness, 3rd year PhD student at CDU on “Small scale fisheries in Eastern Indonesia”. Rohan Fisher, Crawford Fund trainer and Research Fellow, Research Institute for Environment and Livelihoods, CDU on “Artisanal and small-scale mining supporting traditional agricultural practices”. Dr Colin Chartres, CEO, Crawford Fund on opportunities for partnerships and capacity building.